As I stood by the gate of my office at The Nigeria Standard newspaper in Jos, I saw Plateau citizens cutting across all ethnic nationalities and religious afflictions trooping to the Rwang Pam Township Stadium. They went to watch the Nigeria Premiership final title chase match against Rangers FC which Plateau United Football Club of Jos eventually won after over 25 years of nothing. I was in Lagos live in 1999 when Plateau United won the national challenge Cup finals. It was an existing euphoria that I will surely take to my grave. Just before the final Premiership match for this year commenced, the prayers on the lips of the citizens of the state was " Lord, we need this miracle". Interestingly, because we sincerely sought for our heart desire in one accord, the Lord granted us. We sought for it with one voice and Jehovah granted us this unmerited favor thus emphasising the fact that if we come before Him as a people in prayers, nothing will be denied us. 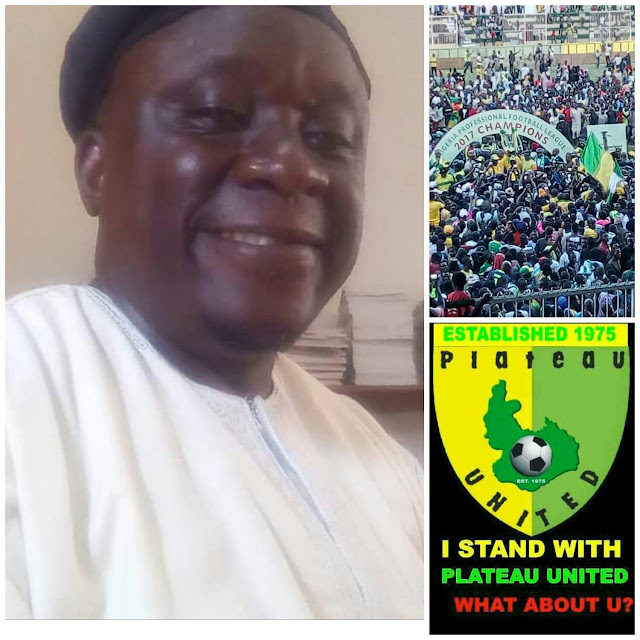 Let the lesson we learnt as a result of our prayers for the success recorded by Plateau United be translated to other areas of our lives on the Plateau. We need such a prayer with sincerity of purpose to transform the Plateau State of our dream. Congratulations our dear Plateau United Football Club for doing us proud. We are waiting for you to bring home the CAF champions league trophy in Jesus name.